Step on board our exclusive party bus and enjoy a night you’ll be talking about for months! 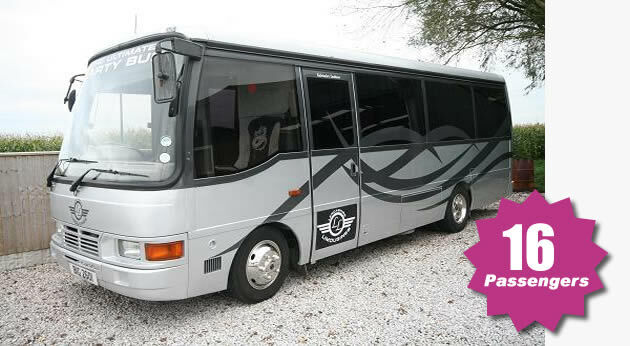 Whether you’re searching for the perfect transportation for your stag or hen party, or whether you’re looking for a unique mode of wedding transport, this incredible bus could be just what you need. 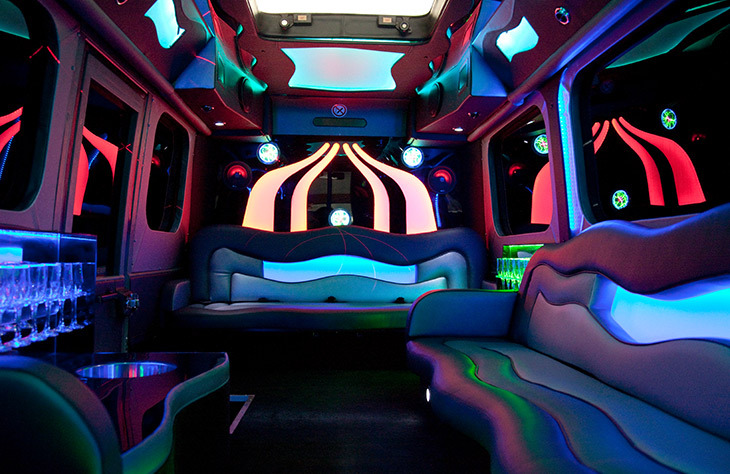 We know there are plenty of party buses out there, which is why we chose to have ours custom built. Designed to our own specifications, we’ve made sure this party bus is the very best on the market. It comes with numerous exclusive features and oozes luxury both inside and out. The stylish wave-shaped seating is kitted out in a sumptuous leather. This makes them super-comfortable to relax on while you take a break from partying. The lighting in the bus is pretty impressive too. Featuring stunning neon lighting, along with a disco floor, you really will feel like you’re in a miniature club. Our party bus comes with lots of on-board entertainment. The disco floor allows you to dance the night away, while LCD TV’s enable you to sit back and watch when the party is over. There’s even a dance pole for those brave enough to show off their skills. The high-tech surround sound system also adds to the party atmosphere. You can play all of your favourite party songs and dance to your heart’s content. There’s no need to argue over who’s going to be the designated driver. Our party bus Telford service comes chauffeur driven. Each of our chauffeurs have been hand-picked and put through extensive training to ensure the highest of standards. They will arrive on time every time, ensuring you get to your chosen venue in plenty of time. Our chauffeurs are professional and friendly, giving you reassurance that you’re in safe hands. Ready to get the party started? 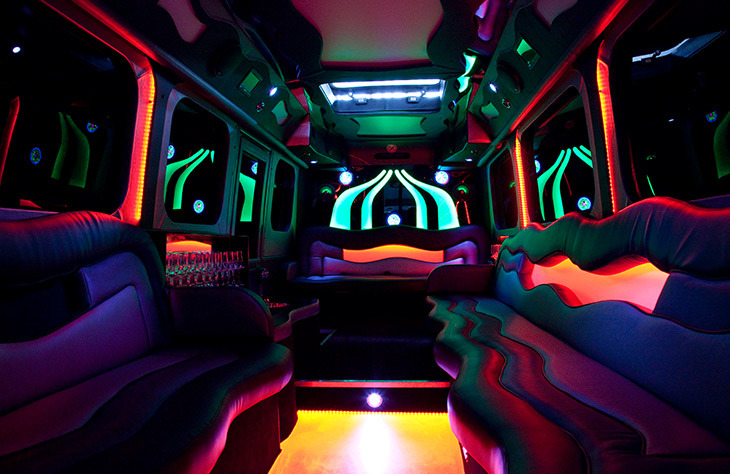 Call us today to reserve this popular party bus. Due to how popular it is, we highly recommend booking as far in advance as possible to avoid disappointment. Don’t forget to check out our current package deals too to see if you can save even further money.